Millwrights are known for their high precision and well-honed skills. Millwrights install, maintain, diagnose, and repair equipment such as compressors, pumps, conveyors, gas and steam turbines, monorails, and extruders. Millwrights also ensure that the machinery they install operates effectively. If you like to work with machines, tools, and precision instruments, and have a keen eye for the perfect fit, you could make a successful millwright. Millwrights are an elite group of construction workers who work primarily with metal, high-precision machinery and equipment. What types of jobs are done by millwrights? Millwrights install, maintain, diagnose, and repair the machines that keep America running. These machines can be compressors, pumps, conveyors, monorails, extruders, gas and steam turbines, and mining equipment. Every industry requires millwrights, from pharmaceutical companies, steel mill refineries, and auto plants to nuclear plants, mines, and food processing facilities. 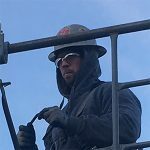 Working in and outside facilities, millwrights use hand and power tools, rigging and hoisting equipment, torches and welders, lasers, optical transits, and precision measuring tools. What are the hours and working conditions of a millwright? Although millwrights work indoors much of the time, their duties also involve working on the outside of buildings and other structures, in situations often requiring the use of scaffolding. Millwrights work with a variety of hand and portable power tools, and frequently cut, join, and fasten metal construction materials using welding equipment and oxy-acetylene torches. A millwright must be prepared to work in any conditions, since the job may be inside or outside, clean or dirty, wet or dry, hot or cold. No matter the circumstances, millwrights pride themselves in getting the job done right and on time. 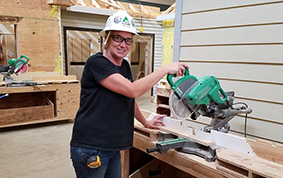 Millwright apprentices usually start by helping journeymen with basic tasks like material handling, then work their way into more sophisticated jobs as their skills and knowledge increase.